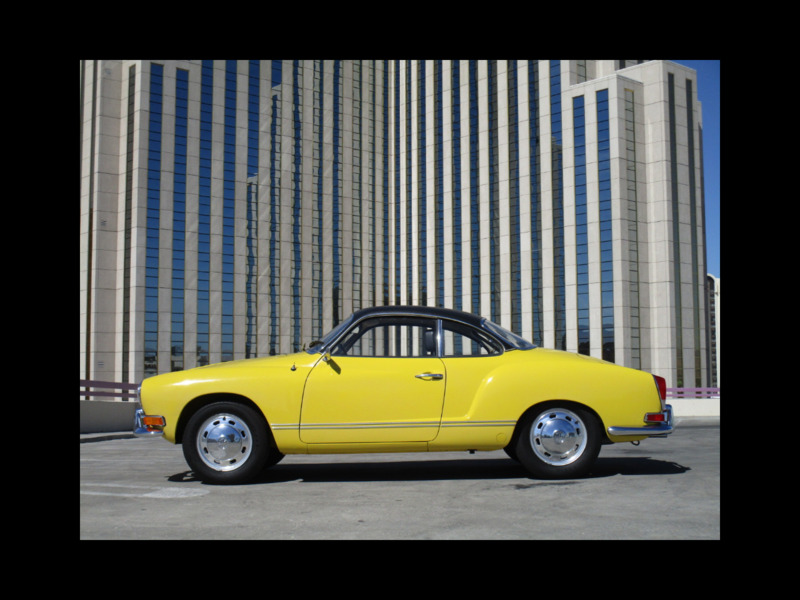 This 1971 Volkswagon Karmann Ghia is totally original. It has a rebuilt 1600cc dual port matching numbers engine, with 4 cylinders and a four speed manual transmission. One-key Car (doors & ignition). Locking Glovebox. Original Dealer Accessory Vinyl Roof. Original upholstery, steering wheel, horn ring, radio, clock, rear window defroster. Everything works and It has a full size spare tire. Original paint is bright yellow, with black interior. It has a detachable luggage rack. Front glass is original and the tags on the glass can still be read. Items that have been replaced with new are, ball joints, tie rods, steering stabilizer, shocks, wheel bearings, alignment, carburetor, pointless electronic ignition, clutch and throw out bearing, rear main seal, tires and optima red top battery. This is a sweet compact car that drives and runs excellent. Message: Thought you might be interested in this 1971 Volkswagen Karmann Ghia.